Crestview, FL. - The law firm of Gross and Schuster is pleased to announce the addition of two new law partners, Rhett Gross and Tyler Gross, both personal injury attorneys in Crestview. Both attorneys graduated from the Florida State University College of Law and worked as Assistant Public Defenders before transitioning to civil practice. They have been practicing personal injury law for several years, handling a wide range of injury cases. Gross and Schuster was founded by Terence A. Gross almost 40 years ago, and has since successfully resolved thousands of personal injury claims and lawsuits for its clients. The lawyers at Gross and Schuster develop close working relationships with each client in an effort to maximize recoveries. The firm focuses on education and communication in an effort to increase client awareness and better understand each client’s legal rights and options. Rhett and Tyler have had the pleasure of learning from two very experienced personal injury attorneys. Terence Gross and Charles Schuster, the founding partners, are both board-certified specialists in civil trial law by the Florida Bar Association. Both Mr. Gross and Mr. Schuster are respected Crestview car accident lawyers having more than 80 years of combined legal experience. Terence Gross has tried more than 100 jury trials to verdict and is AV rated by Martindale Hubble. The addition of two new partners brings the core team up to four attorneys. Each of the attorneys brings a diverse skill set to the table. 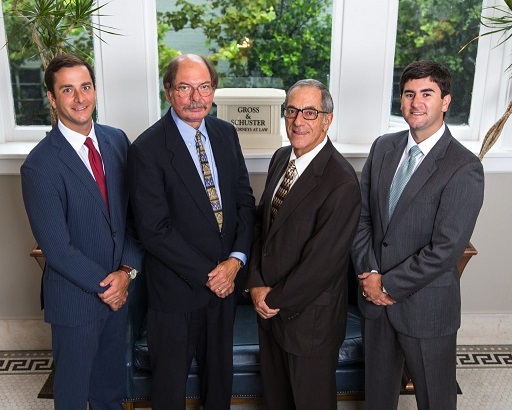 With the addition of Rhett Gross and Tyler Gross the firm is able to handle more personal injury and wrongful death cases resulting from automobile accidents, truck accidents, boat accidents, dog bites, nursing home neglect, and premises liability. They also handle hurricane claims and other insurance disputes. “Our focus is, and has always been, on our clients. This is a major reason why we have new lawyers joining us. With their presence, clients will benefit from multiple legal opinions and will always have access to an attorney at our firm. Ultimately, this is a part of the framework that enables us to protect accident victims against powerful insurance companies,” says Terence Gross. Their website, https://grossandschuster.com/, contains extensive information about the firm and personal injury claims. Using the online contact form, individuals can discuss their legal issues and request a free consultation. The website also has sections dedicated to educating viewers about different types of injury claims, including roadway, waterway, business and residential liability claims.